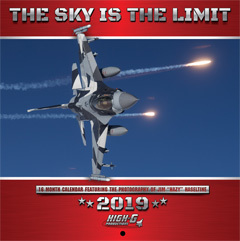 Thunder Over the Boardwalk is celebrating its sixteenth year in the skies over the beaches and boardwalk of Atlantic City New Jersey. However few may realize that the roots of this airshow go back well over a century to the 1910 Atlantic City Air Carnival. In July of 1910, America’s first airport Atlantic City’s Bader Field had not yet open. The aircraft for the Atlantic City Air Carnival were launched and recovered on the very beach where Thunder over the Boardwalk’s spectators view todays airshow. 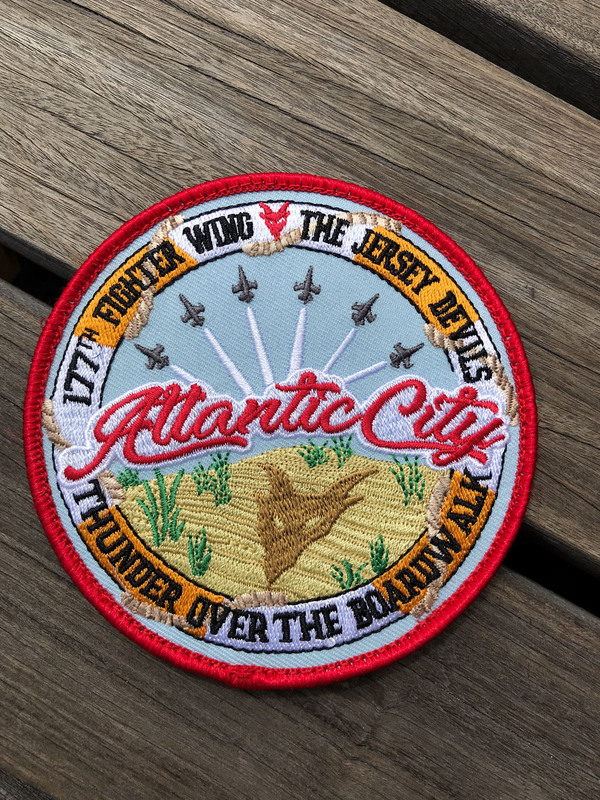 The Atlantic City Air Carnival would not only have a tremendous impact on the future of airshows but military aviation, tactics and the worlds navy’s as well. 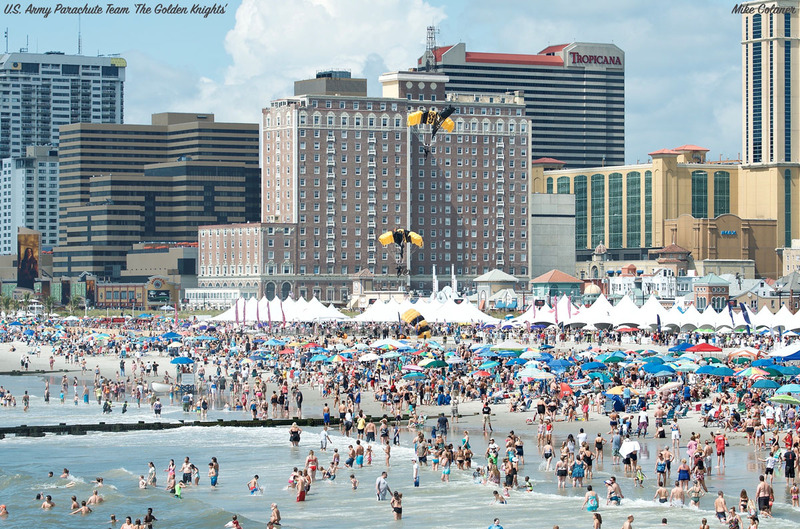 The Atlantic City Air Carnival featured the aviation headliners of the day. Both the Wright Brothers and Glenn Curtiss brought teams to the Atlantic City beachfront for ten days of competition and exhibition before an estimated 100,000 people. During that ten day event, Walter Brookins set an altitude record of 6,175 feet for the Wright Brothers and claimed a $5,000 prize. Not to be outdone, Glenn Curtiss set a World’s Record by flying 50 miles back and forth along the Atlantic City beachfront in a time of one hour and fourteen minutes. Perhaps most notable of this first gathering in Atlantic City was Glenn Curtiss’ demonstration of the first arial bombardment from an aircraft. Glenn Curtiss dropped oranges from a height of 100 feet close to a sailboat in motion. He continued his demonstration by dropping more fruit into a circle on the beach to show how precise bombardment could be. 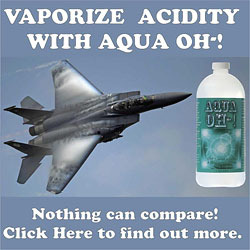 U.S. Army Brigadier General William A. Jones was in attendance and took notice of the demonstration. General Jones was so impressed by the demonstration he predicted the aircraft replacing the battleship in naval conflict. The ‘Father of the United States Air Force’ Brigadier General William ‘Billy’ Mitchell would not propose this tactic for another eight years. General Mitchell famously said in November of 1918, “The day has passed when armies on the ground or navies on the sea can be the arbiter of a nation’s destiny in war. The main power of defense and the power of initiative against an enemy has passed to the air.” It would be a full eleven years before he could demonstrate this tactic on the ‘unsinkable’ captured German battleship Ostfriesland. This years show continues the tradition of featuring the headliners of the day. 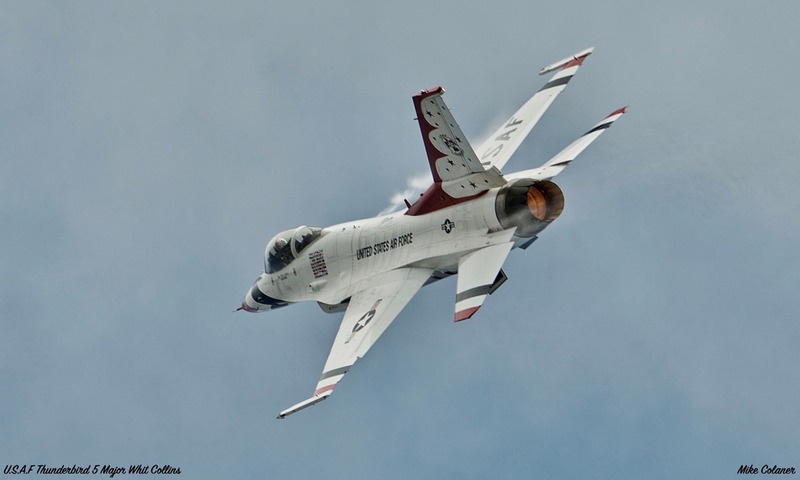 On August 22nd, Thunder over the Boardwalk returned to Atlantic City and once again featured two military jet teams. 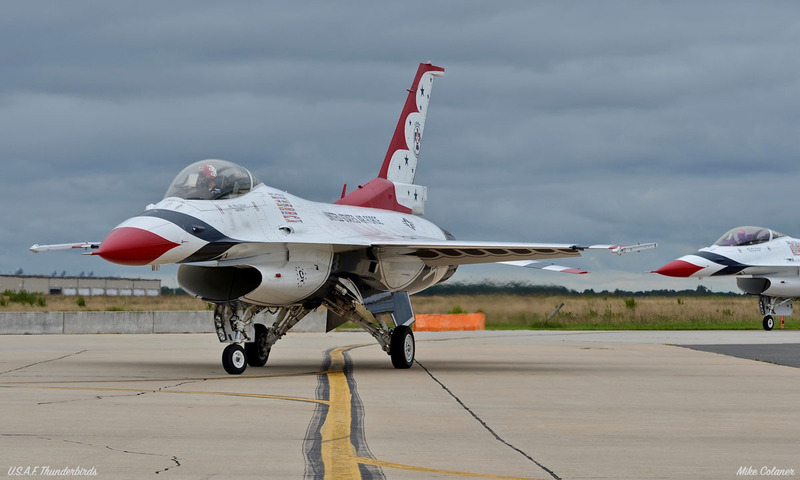 The U.S.A.F Thunderbirds returned for a fourteenth appearance while the Royal Canadian Air Force Snowbirds made their debut appearance at Thunder over the Boardwalk. The Snowbirds were actually the first military jet team I ever saw perform. Ironically it was in their only other appearance in an Atlantic City related airshow known as TransFair 77 (New Jersey Transportation Fair 1977). TransFair 77 was billed as an alternative to the Paris Airshow and it even advertised a ‘ SST’ (Concorde) flyby which didn’t materialize. TransFair 77 was held at the former National Aviation Facilities Experimental Center now known as the FAA William J. Hughes Technical Center at the Atlantic City International Airport. 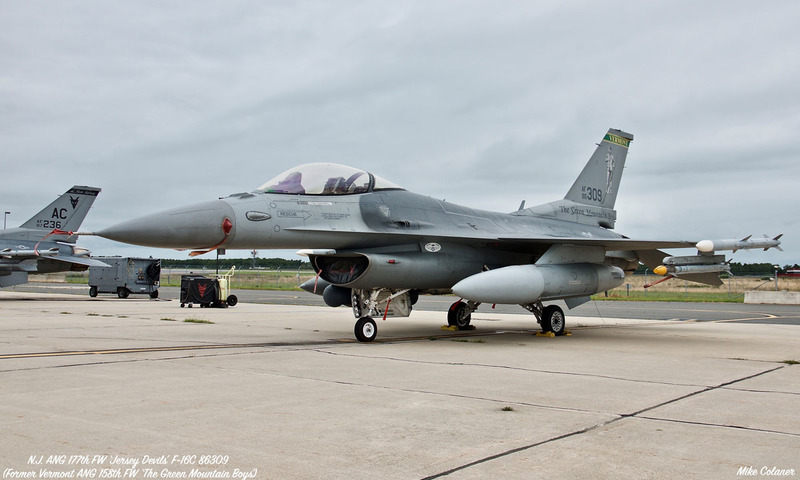 It is also home to the host unit of the air show, the New Jersey Air National Guard’s 177th Fighter Wing. TransFair 77 featured the U.S. Army Golden Knights, the U.S. Navy Blue Angels , the NJ ANG 177th FW and the Canadian Forces Snowbirds. 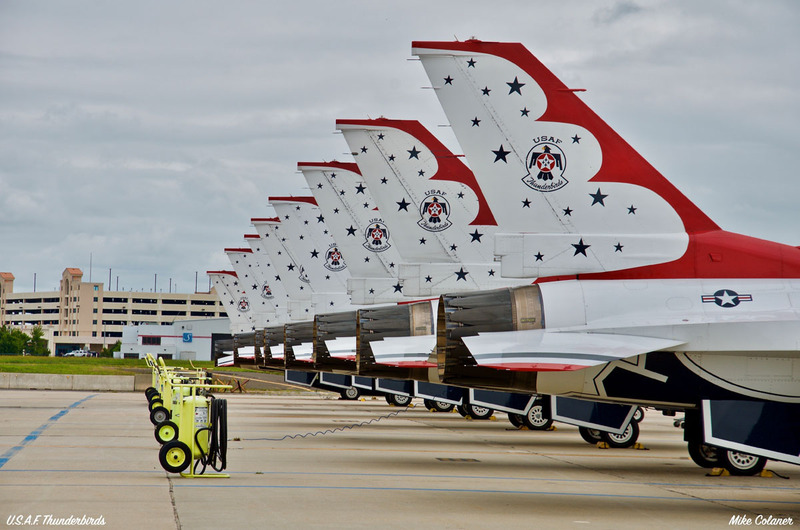 While the headliners remain much the same today from 41 years ago, almost all of their aircraft have been retired from military service of that era. Golden Knights were flying the deHavilland C-7 Caribou as their jump plane. The Blue Angels were in the Douglas A-4 Skyhawk. The 177th FW was part of the Aerospace Defense Command and was providing air defense of the Northeast Continental United States in their century series F-106 Convair Delta Dart. 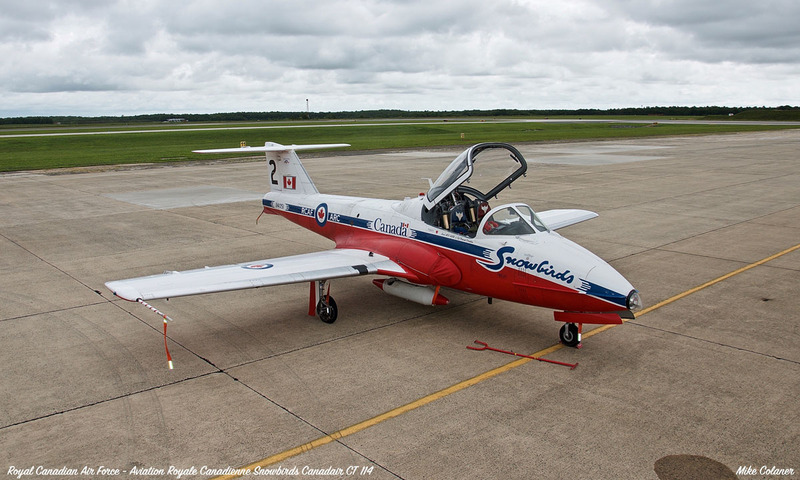 The Snowbirds were operating the only aircraft they have flown since their founding in 1971, the Canadair CT-114 Tutor. 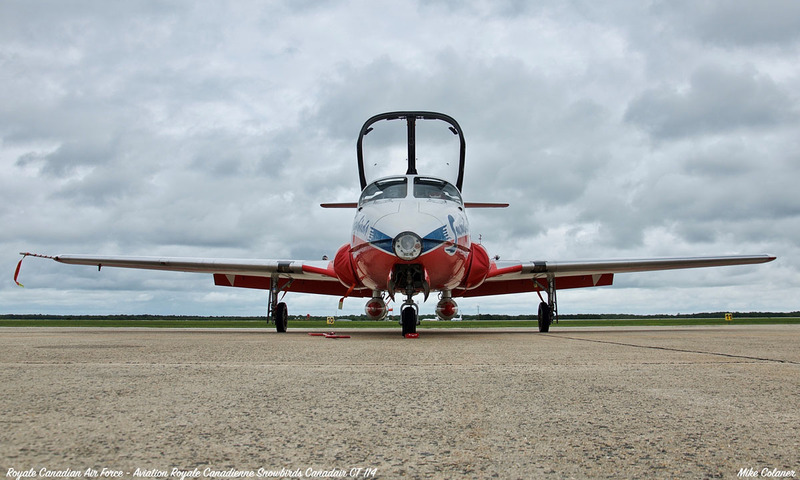 The Royal Canadian Air Force replaced the CT-114 Tutor with the CT-155 Hawk and CT-156 Harvard for pilot training in the year 2000. 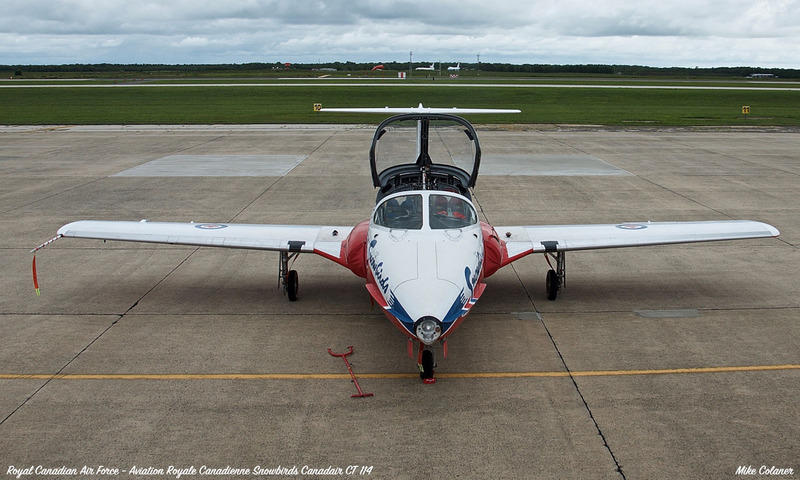 The Snowbirds plan to continue to fly the Tutor for the foreseeable future. 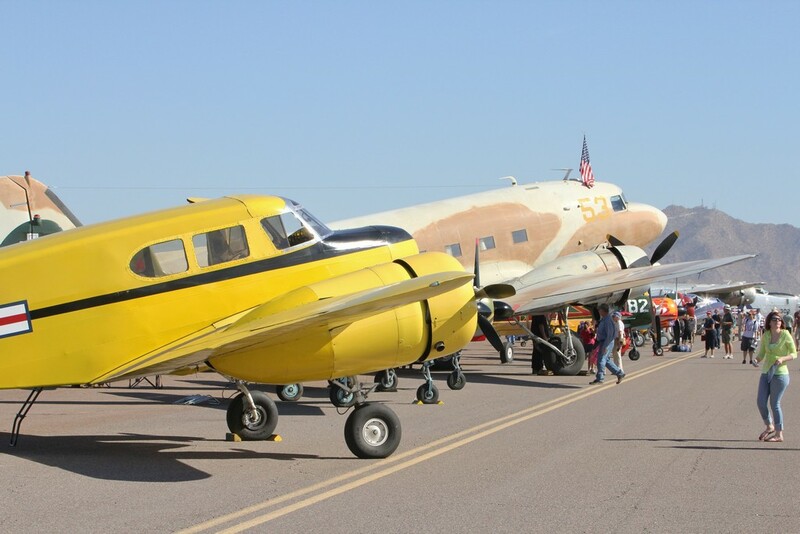 They currently have 22 Tutor airframes with several more held in reserve. 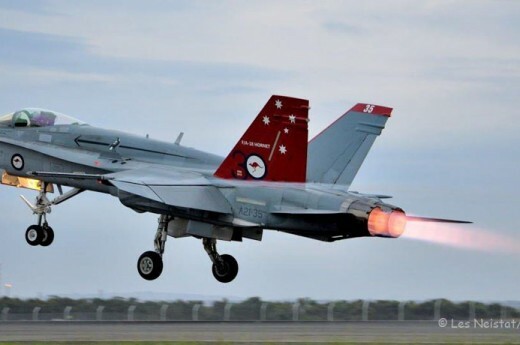 It was revealed in 2016 that the Royal Canadian Air Force will modernize the Tutors avionics so that it can continue to fly for another 12 years extending its service life until the year 2030. 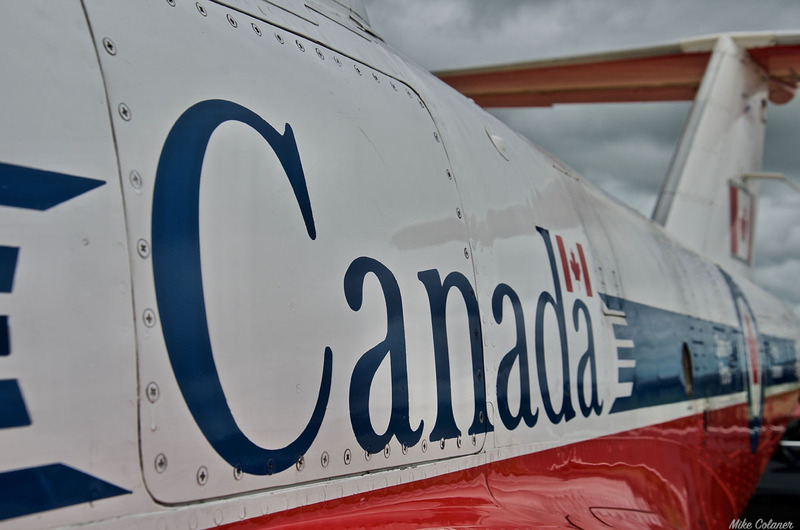 The avionics upgrade is required for the aircraft to continue to operate in North American airspace. 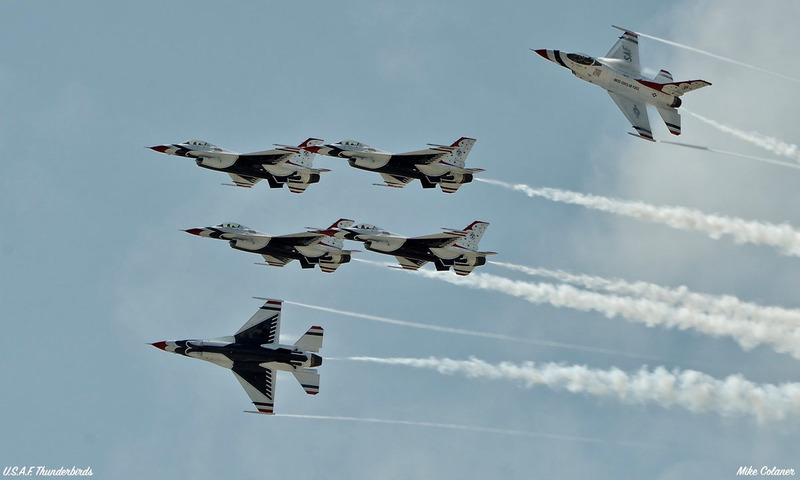 On Monday August 20th, I was on hand for the Thunderbird arrivals as the team was fresh off of their performance at the Chicago Air and Water Show. This stretch of the season begins a multi week road trip for the team without returning home to Nellis Air Force base. 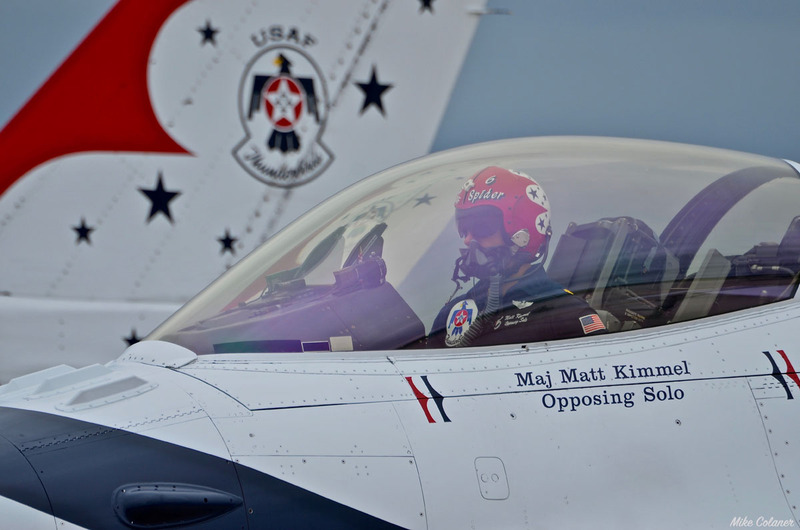 Despite sounding like a grind for the team, Thunderbird 6 Major Matt Kimmel said the team enjoys this part of their schedule. 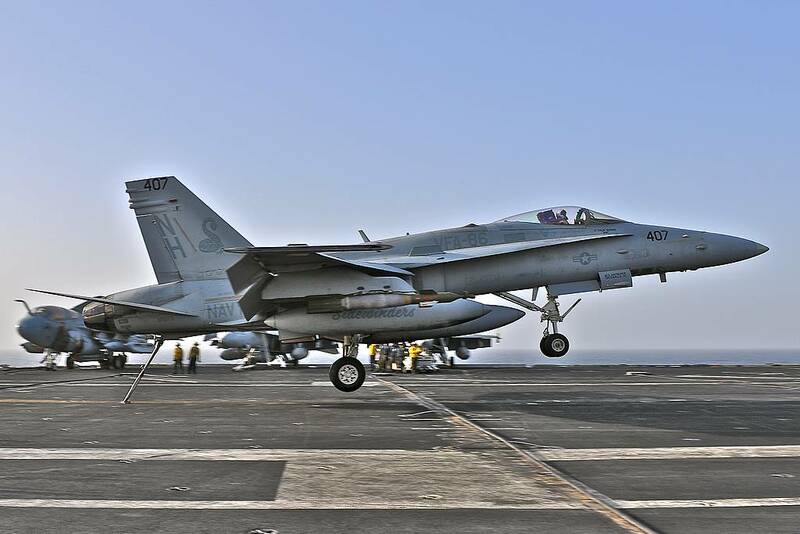 He explained it actually affords more down time for the team with the multiple cross country flights with all the refueling and flying to and from Nellis eliminated. On Tuesday’s practice day, I was invited to visit the FAA Technical Center where the Snowbirds and all of the civilian performers were staging from. I was introduced to the teams Public Affairs Officer Lieutenant (N) Michèle Tremblay. The team had just had a rare weekend off from performing. I asked if the team had taken a week off to relax. Lt. Tremblay explained that the team did not and that they had returned to Moose Jaw Saskatchewan for a maintenance week. The teams Canadair CT-114 Tutor’s flying time is limited to 75 minutes and is unable to be aerially refueled. Lt. Tremblay explained to me that the trip to Atlantic City required four hops over two days to complete from Moose Jaw. Only the teams advanced aircraft had arrived while I was there. The remaining aircraft were still enroute and were scheduled to conduct a survey flight of the show site upon their arrival. As I walked the flight line, Snowbird #2 Captain Sarah Dallaire had no sooner stowed her aircraft before she was departing for a flight with the Thunderbirds. The team coordinators Snowbird #10 Captain Blake McNaughton and Snowbird #11 Captain Robbie Hindle were busy preparing for the rest of the team’s arrival. 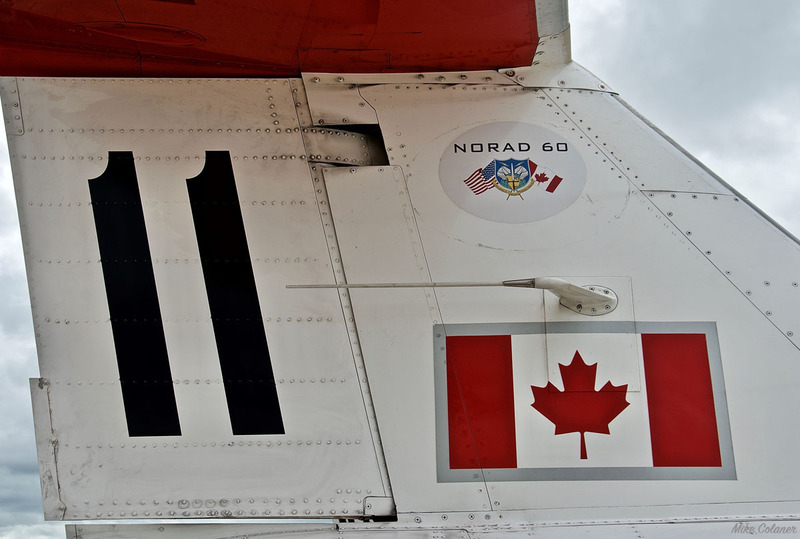 This year the Snowbirds Tutors are adorned with a small NORAD 60 decal on the right side of the aircraft tail. 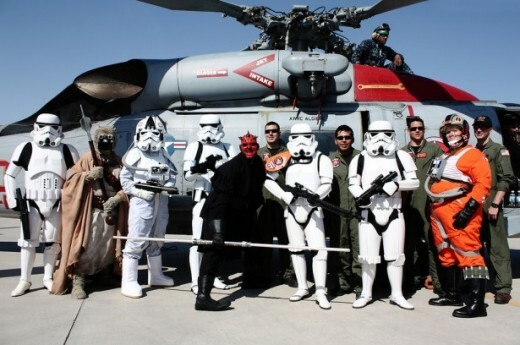 This tribute is not large enough to be seen on the performing aircraft from the ground. I was honored to have been escorted to the aircraft by Lt. Tremblay and shown this unique tribute up close. Lieutenant (N) Michèle Tremblay and I discussed how the C-114 Tutor has a side by side cockpit configuration and how the pilots are seated depending on which side of the formation they fly. The even numbered aircraft are on the right side of the formation thus the pilot sits in the left seat. 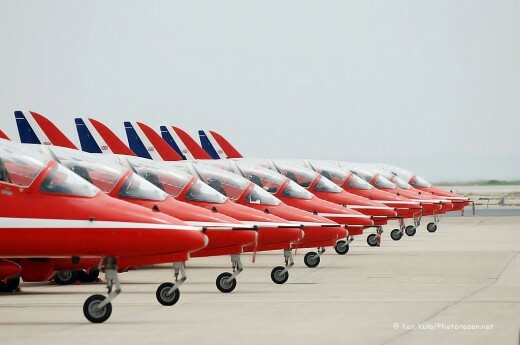 While the odd numbered aircraft are on the left side of the formation and the pilots sit in the right seat. 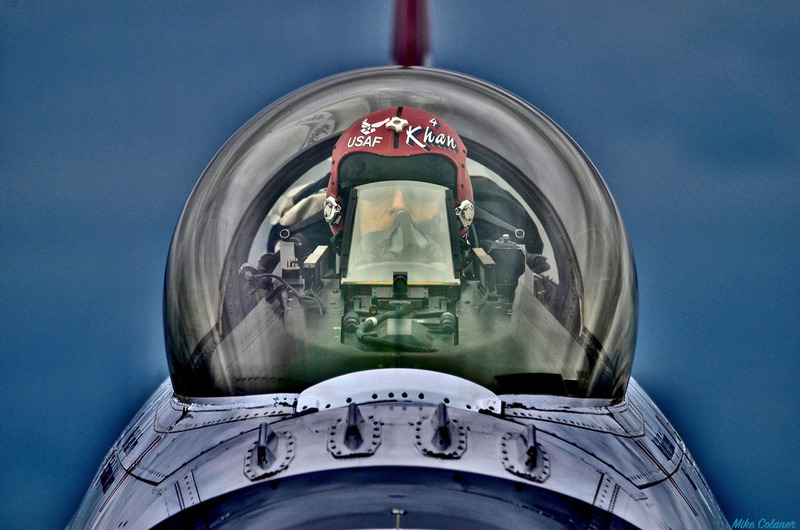 This gives the pilots the best visibility for their position while in formation flying. The Snowbirds have nicknames for their pilots position in the formation. Snowbird #1 is known as the Lead. 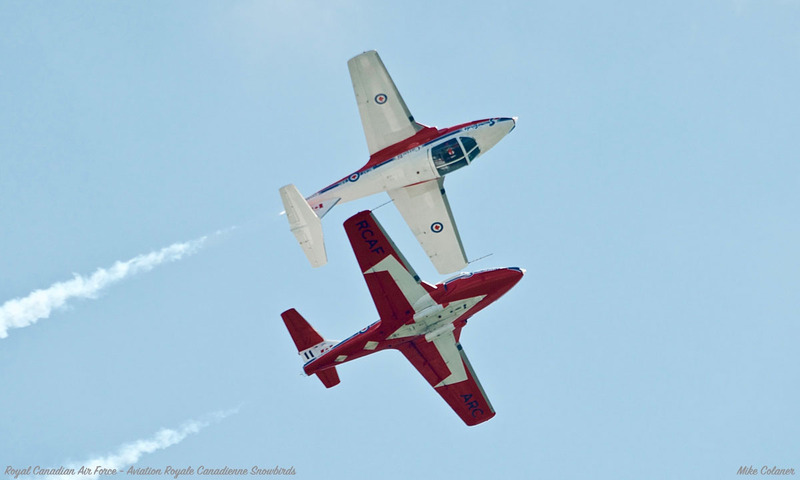 Snowbirds #2 and# 3 are known to the squadron as the ‘Inners’ and officially known as the inner right (#2) and left (#3) wings. 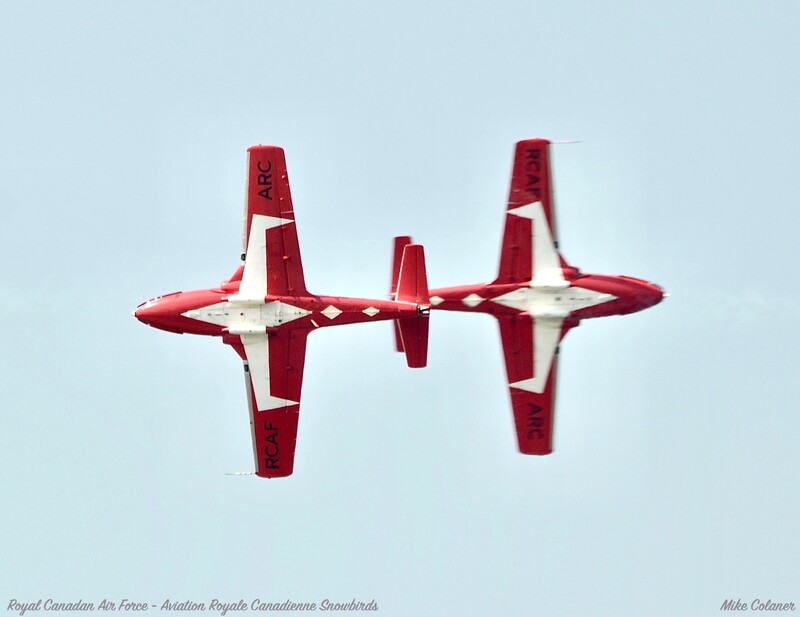 Snowbirds #4 and #5 are the ‘Stemcats’ known officially as first line astern (#4) and second line astern (#5). 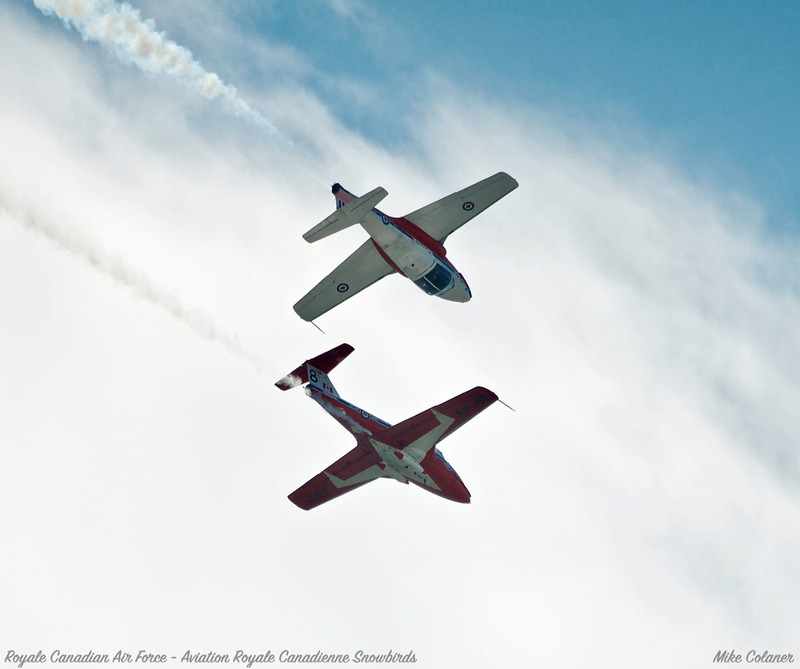 Snowbirds #6 and #7 are the ‘Outers’ known officially as the outer right (#6) and outer left (#7) wing. Snowbirds #8 and #9 are the ‘Solos’ officially known as the lead solo (#8) and the opposing solo (#9). 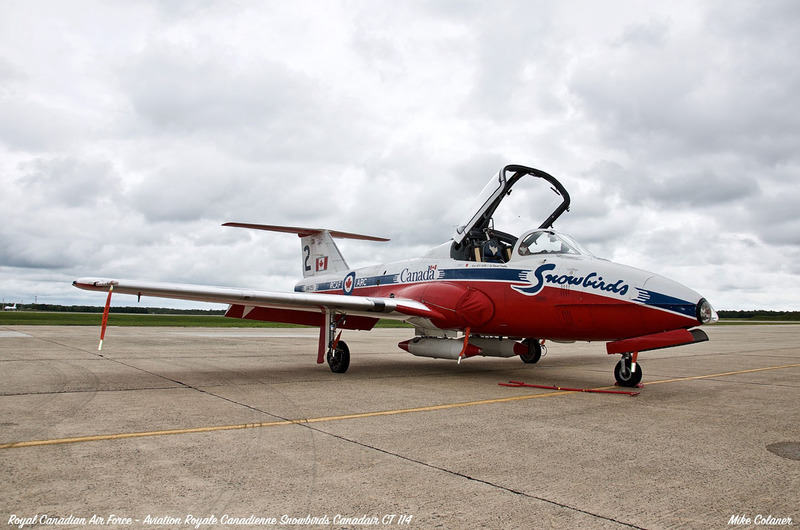 I spoke with Snowbird #7, Captain Pierre-Marc Deschenes who has received both his Canadian and United-States pilot wings. He attended the Euro-NATO Joint Jet Pilot Training Program in Wichita Falls, Texas where he learned to fly the T-38C Talon. Upon his return to Canada, he became a flying instructor on the CT-156 Harvard-II. I discussed with Captain Deschenes his position on the team. 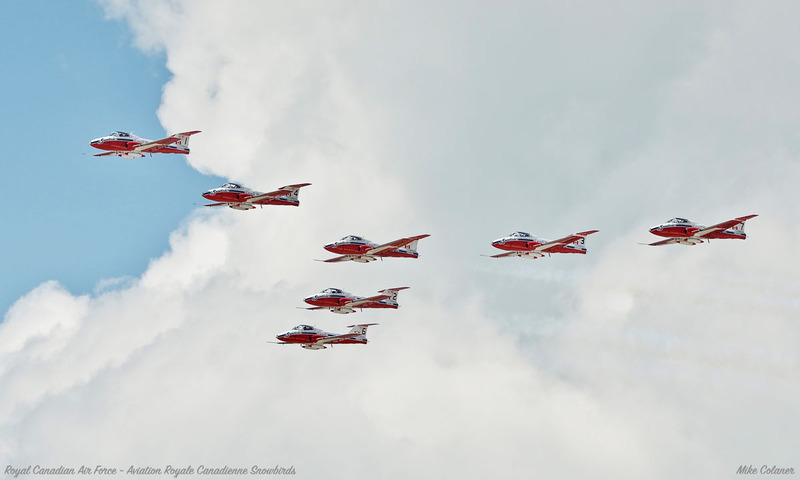 He explained that the Snowbirds do not change positions in the formation from year to year. He will always be in the Snowbird #7 position no matter what year he is with the team. He added that Snowbird #6 and Snowbird #7 starting years are staggered as all of the positions are so that there is always an experienced pilot teamed up with a less experienced pilot on the team. 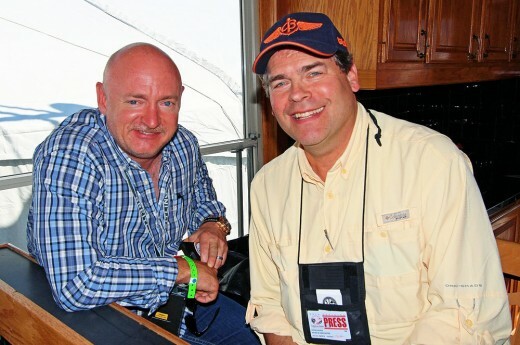 David Schultz Airshows was back once again to run the airshow with Howdy McCann Jr. announcing the show. David Schultz has been running Thunder over the Boardwalk for all of its sixteen years of existence. 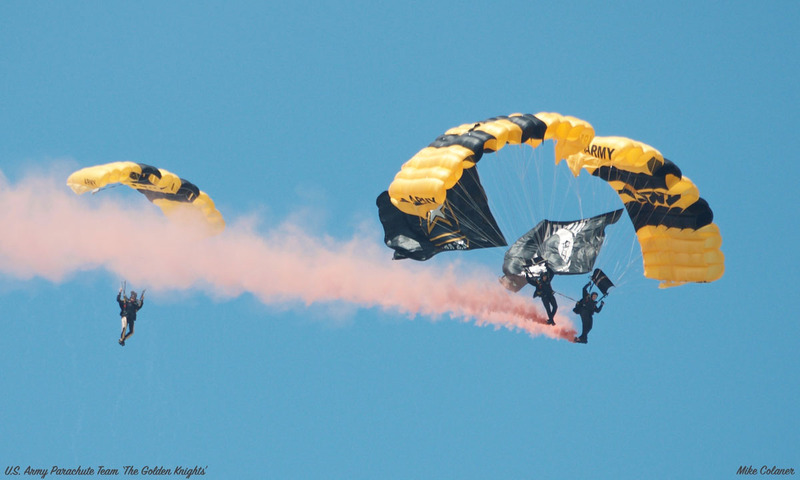 The airshow was opened by the U.S. Army Golden Knights Black Team performing the flag jump with both the United States and Canadien National Anthems being played. 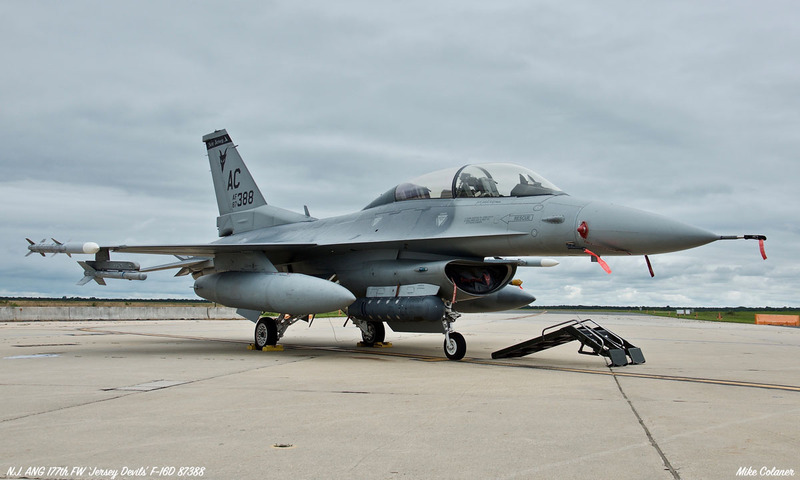 Then it was the New Jersey Air National Guard’s turn to be featured in a flyby of four General Dynamics F-16 Fighting Falcons of the 177th FW. 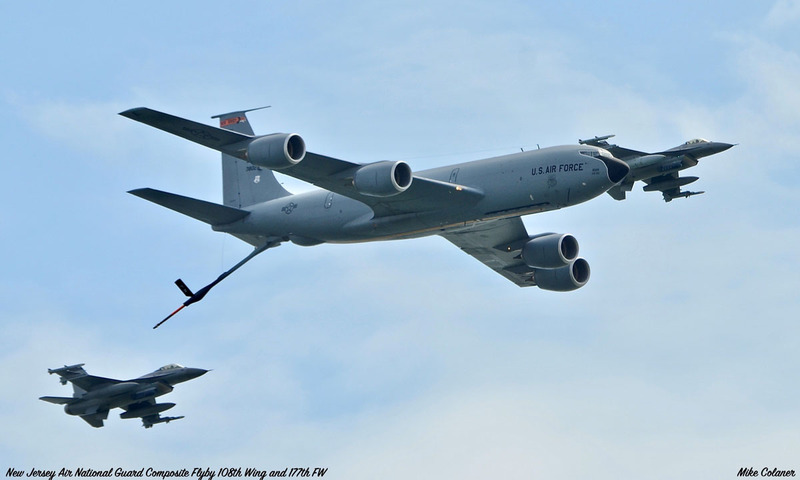 They were joined by a KC-135R of the New Jersey Air National Guard’s 108th Wing for a single pass before the KC-135R and two F-16’s joined up for a refueling pass. Wednesday’s flybys included a rarely seen local aircraft of the Pennsylvania Air National Guard, the EC-130J Commando Solo of the 193rd SOW. The EC-130J is a specially modified Hercules transport, which conducts Military Information Support Operations (MISO) and civil affairs broadcasts in FM radio, television and military communications bands. The 193rd SOW missions are typically flown at night to reduce the probability of detection in politically sensitive or hostile territories. Rounding out the early flybys was an FAA Global 5000, Delaware Air National Guard’s 166th AW C-130H Hercules, U.S.A.F. 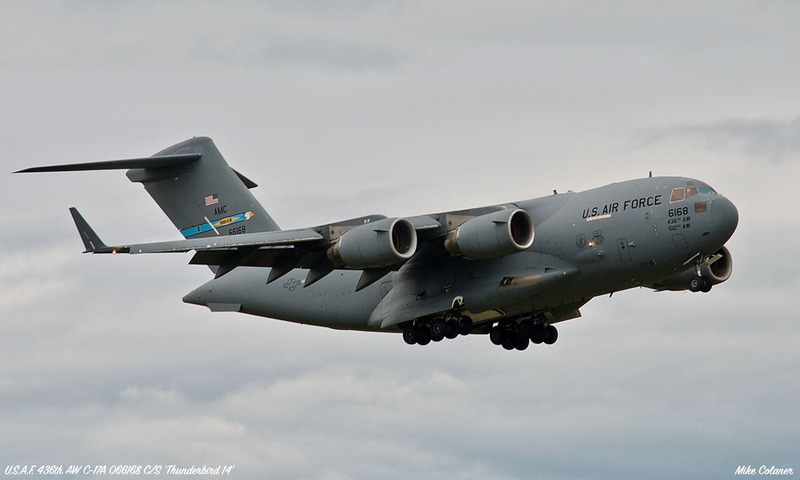 C-17A Globemaster III of Dover Delaware’s 436th AW, and a U.S. Navy T-45 Goshawk of VT-7. David Schultz always plans a surprise for this show. Probably the most memorable one was 2008’s four F-22’s that made two spectacular passes that were finished off with a max performance climb out setting off any and all car alarms as they departed the airshow box. For this year David Schultz had a B-52H from Barksdale Louisiana’s 2d BW scheduled as the surprise for the airshow. Many of the more ardent fans were tracking the BUFF on ADSB (virtual radar) as it was orbiting around Fredricksburg Virginia just 90 minutes before its scheduled arrival. 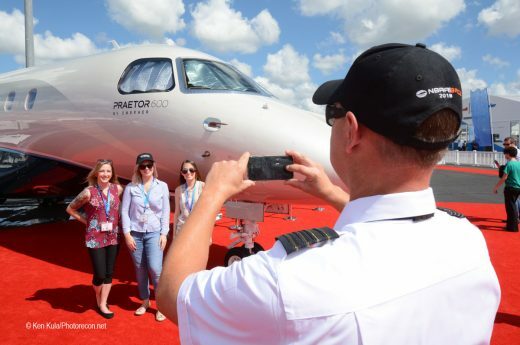 However as the disclaimer on the schedule says, the schedule is subject to change based on aircraft availability, deployments, weather and other issues beyond the airshow’s control. And just like that it returned to base without making its surprise visit. Thunder Over The Boardwalk regular and fan favorite, Jim Beasley Jr. performed two demos for the crowds in his P-51D Mustang ‘Bald Eagle’ and his SNJ-5 Texan. Jim Beasley has flown more types of aircraft and in more configurations at Thunder over the Boardwalk than any other performer. In addition to his P-51D Mustang and SNJ-5 Texan, Jim Beasley has flown his Mk XVIII Spitfire ’The Beast’. 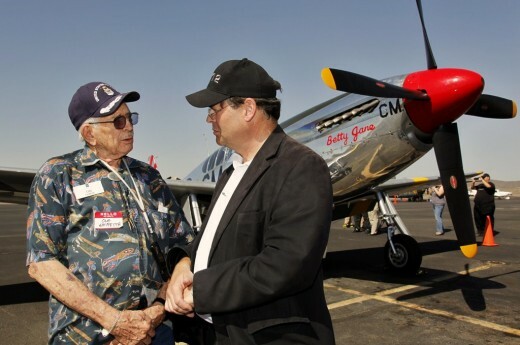 He has also performed in his P-51 as a solo demonstration, as a duo with Andrew McKenna and as a team with The Horsemen. Scheduled performer Mike Wiskus’ Lucas Oil Pitts had a mechanical issue and couldn’t get to the show. David Schultz put a call out to Scott Francis on Monday for his MXS demonstration. Scott was able to arrive in time to perform in Wednesday’s airshow. Paul Dougherty has been getting noticed on the local scene with his Christen Eagle II demonstration. 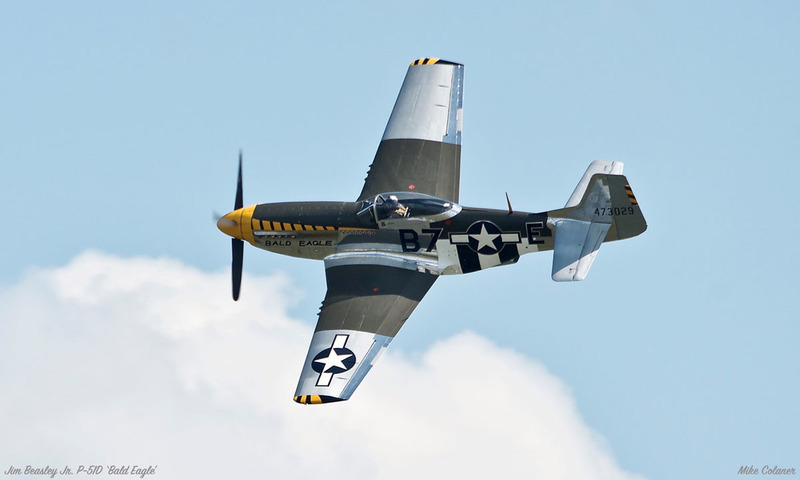 Paul returned along with his crew chief / announcer and daughter Caroline Dougherty to the New Jersey skies for the second of four performances this year. 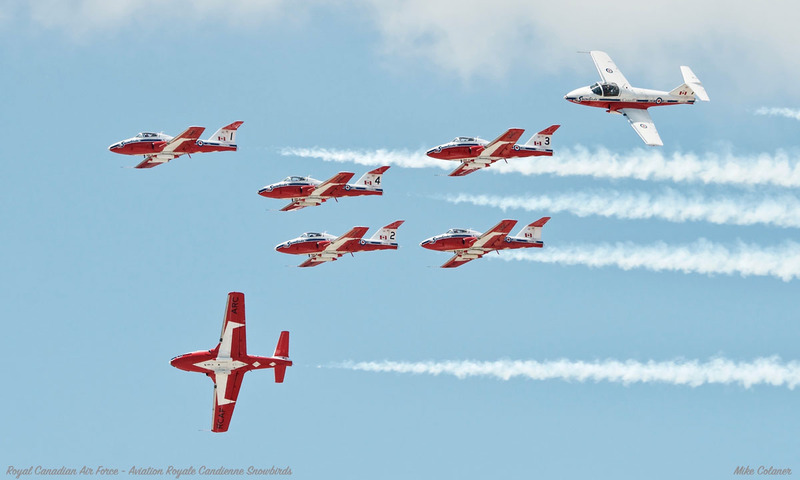 The Snowbirds were unable to conduct their survey flight on Tuesday as planned. They entered into the show box in trail formation before regrouping and beginning their performance. The Snowbirds thrilled the crowds with their graceful flight formations. As they approach the show box from behind the famed Atlantic City skyline, Snowbird #1 calls for the team to check in over the comms. In rapid succession Snowbirds #2 through #9 check in before the call for smoke on is given and the show begins. Listening to the comms of the Snowbirds you will notice they differ from the American teams in the commands. 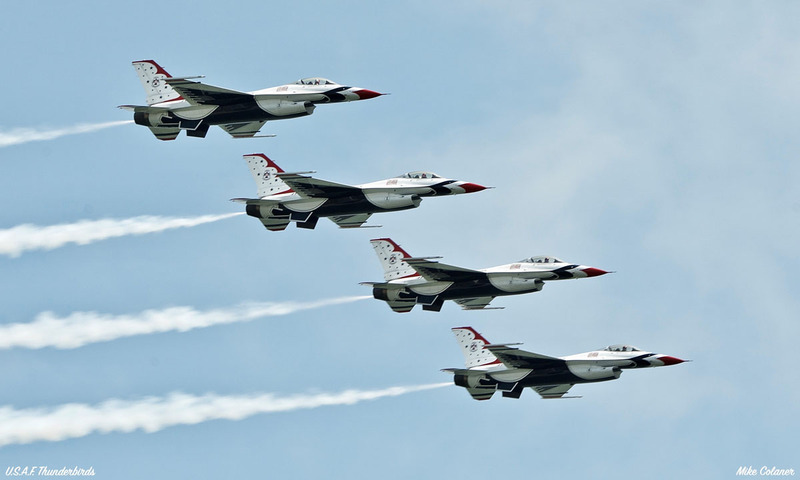 Whereas the Thunderbirds and Blue Angels use a rapid cadence to call out commands the Snowbirds use a calmer demeanor and non cadence of commands. 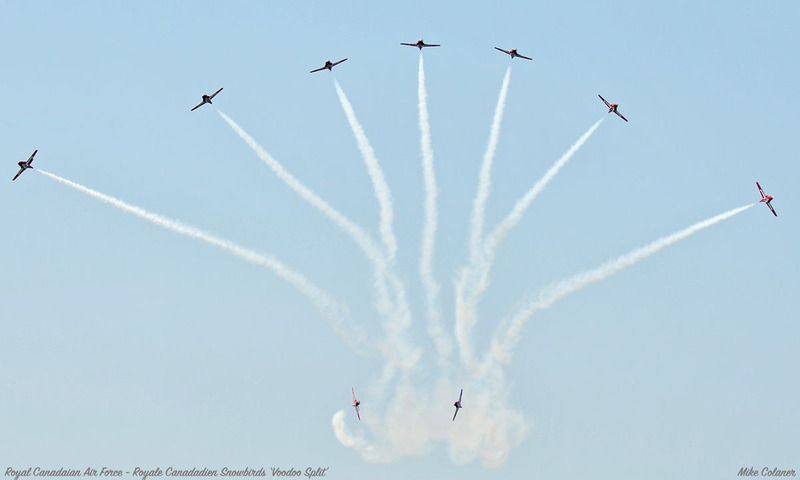 The Snowbirds entered the show box in their ‘Vulcan’ formation before quickly transitioning to the ‘Big Arrow’. 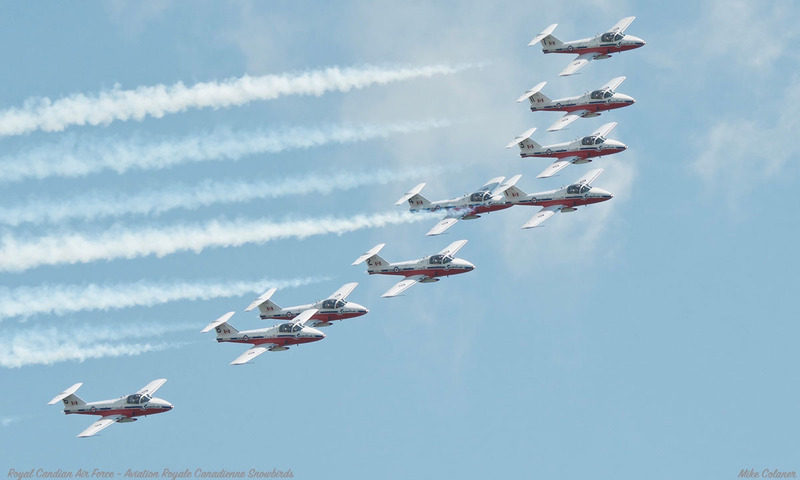 The Snowbirds have thirty-seven standard plane formations for both a nine and seven aircraft groups which they run through during their performances. 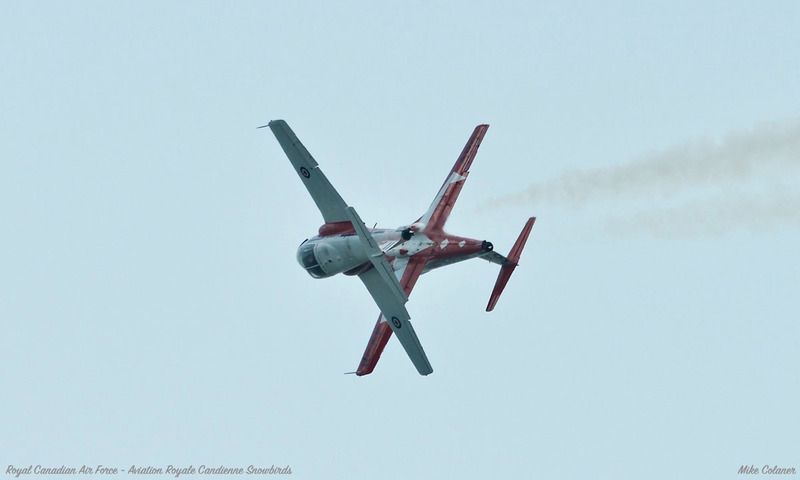 New to this years Snowbird demonstration is the ‘Voodoo Split’ in honor of the two decades the mighty McDonnell CF-101 Voodoo “had the watch” over Canadian skies. 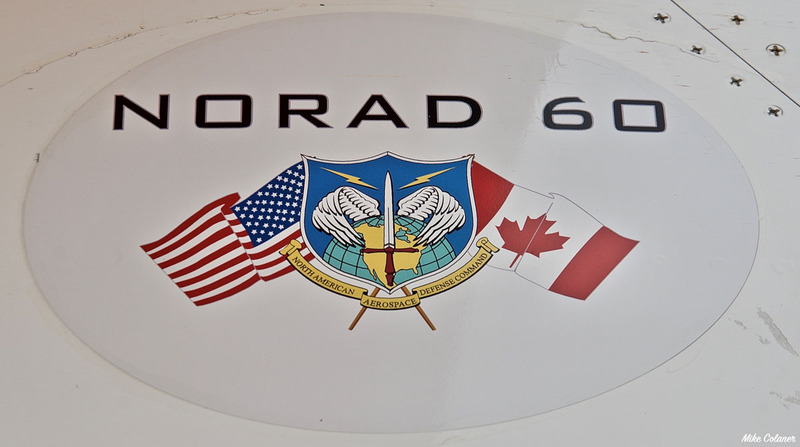 The maneuver is also to commemorate the NORAD 60 celebration that the CF-18 demonstration team is carrying the colors for. The Voodoo split featured nine aircraft approaching show center head on to the crowd in the ‘Big Wedge’ formation. The maneuver has seven aircraft pitch upward and conduct a split similar to a fan while the solos conduct a crossing split underneath of the formation. 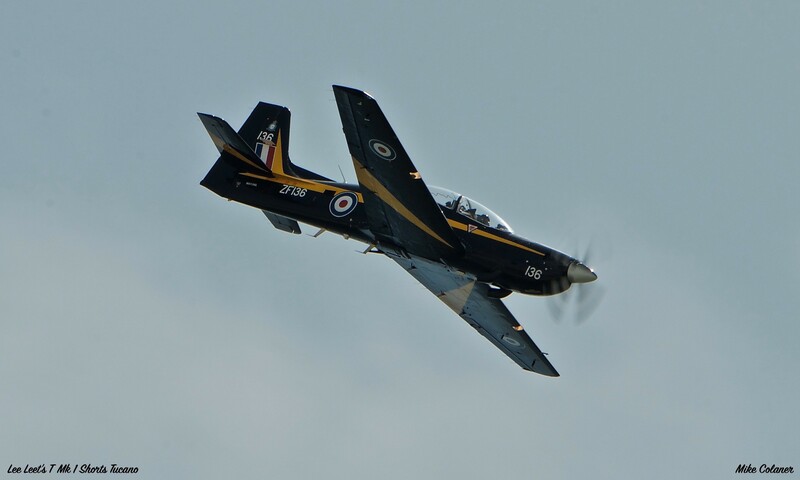 Lee Leets returned for a second time to Thunder Over The Boardwalk with his T Mk 1 Short’s Tucano. Lee’s aircraft still maintains its former Royal Air Force demonstration colors. Lee kept the crowds enthusiasm going following the Snowbirds performance with a combination of flat passes, reverse Cuban 8’s, 4 point and double aileron rolls and a snap roll maneuver. 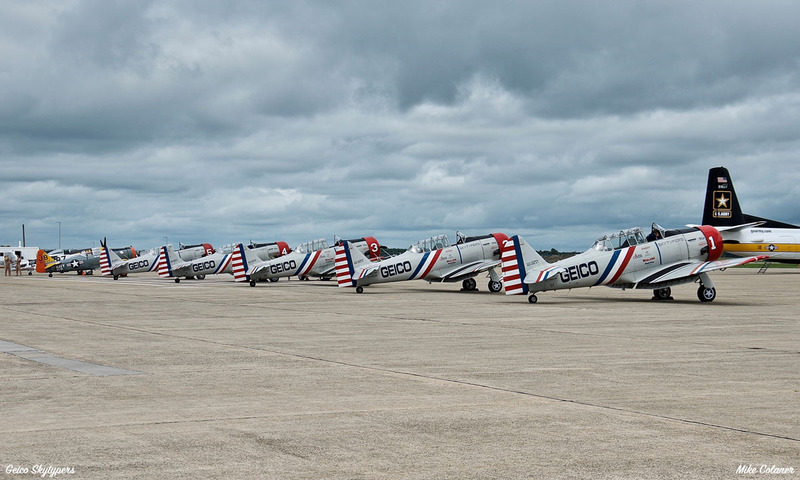 Lee is the first pilot in America to hold the low altitude waiver for all three models of the Tucano. Lee is a former U.S.A.F. 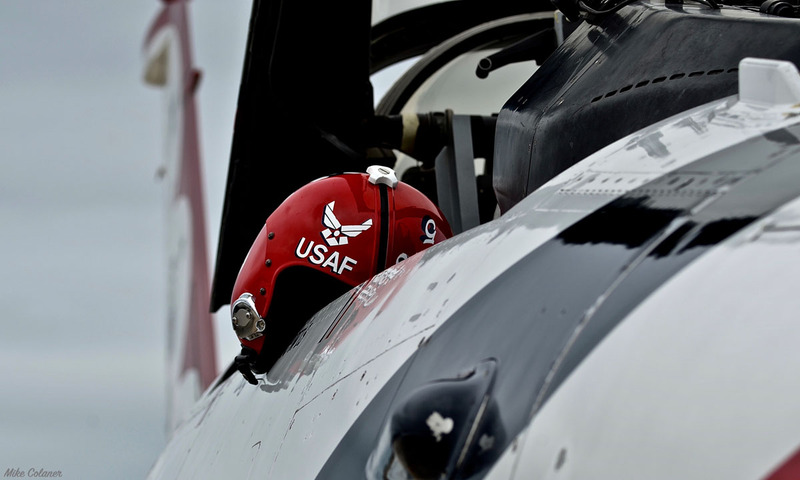 T-37 and T-38 pilot and was trained to perform in airshows by Hall Of Fame and Airshow Legend Patty Wagstaff. 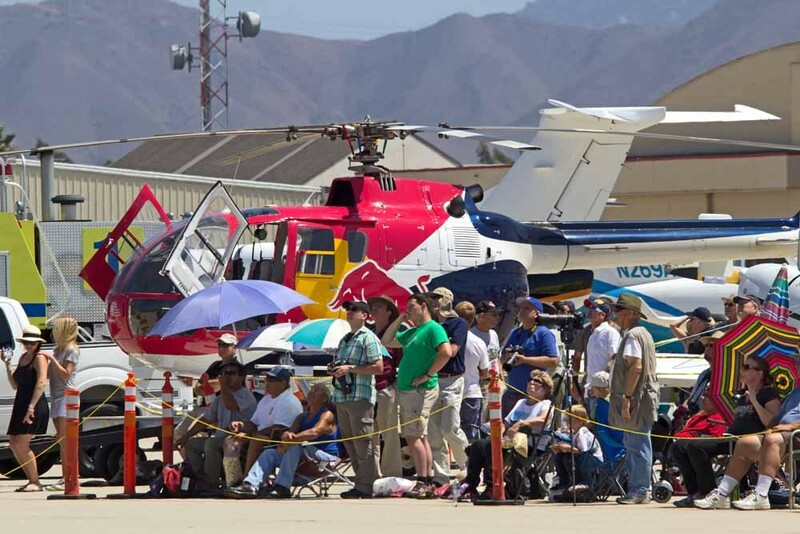 The show this year was heavily represented with helicopters. From the U.S. Coast Guard Atlantic City Air Station two ship MH-65 demonstration to the New Jersey Army National Guard 1-150th Assault Helicopter Battalion SPIES / FRIES Demonstration. The skies were filled with additional helicopters from the New Jersey State Police AW-139 as well as local Philadelphia news A-Star and Messerschmidt medical aircraft. Several of these aircraft staged and launched from the former Bader Field, located on the bayside of Atlantic City. 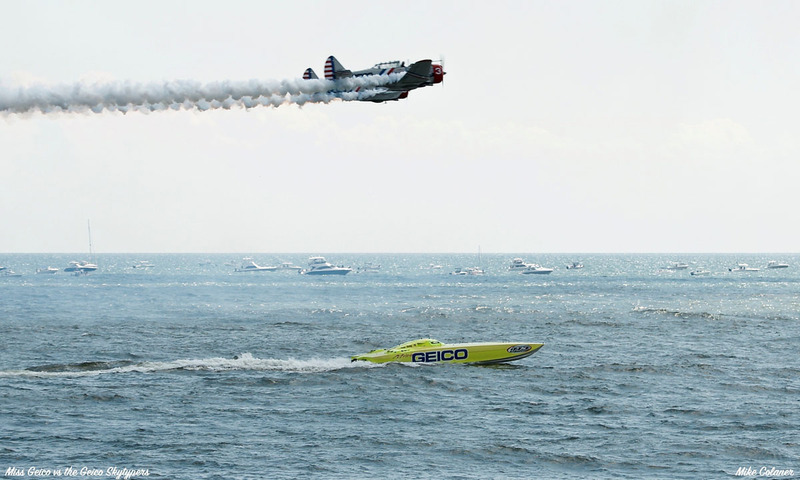 The Geico Skytypers returned flying a five ship demonstration and a race against the Miss Geico offshore powerboat. 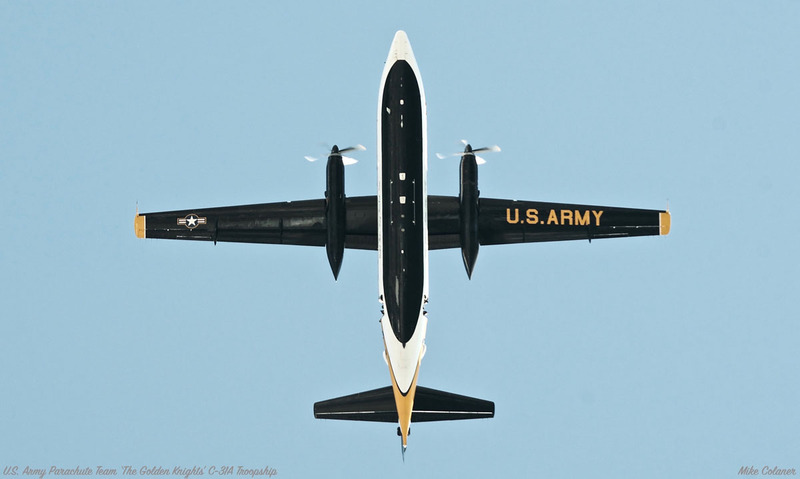 The U.S. Army Golden Knights Black Team performed their mass exit show landing on a narrow patch of sand at show center to the crowds delight. 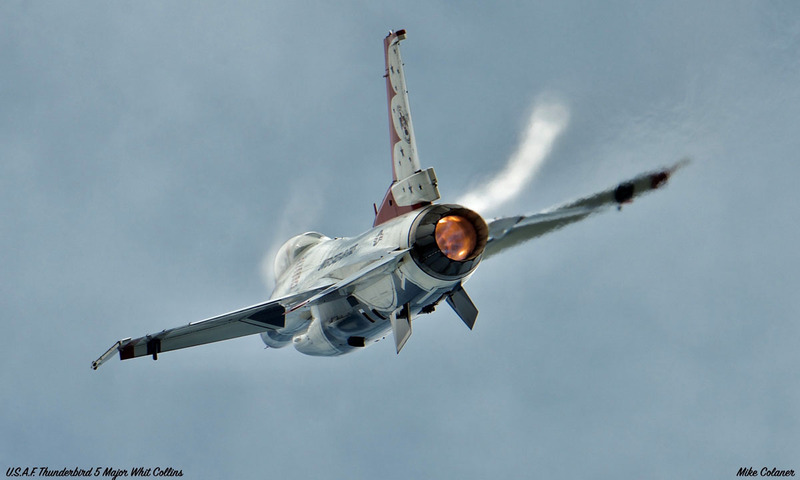 The U.S.A.F Thunderbirds closed the packed show with thrills, exhilaration and precision. The team delighted the crowds with their knife edge and sneak passes as well as the their trademark bomb burst maneuver. 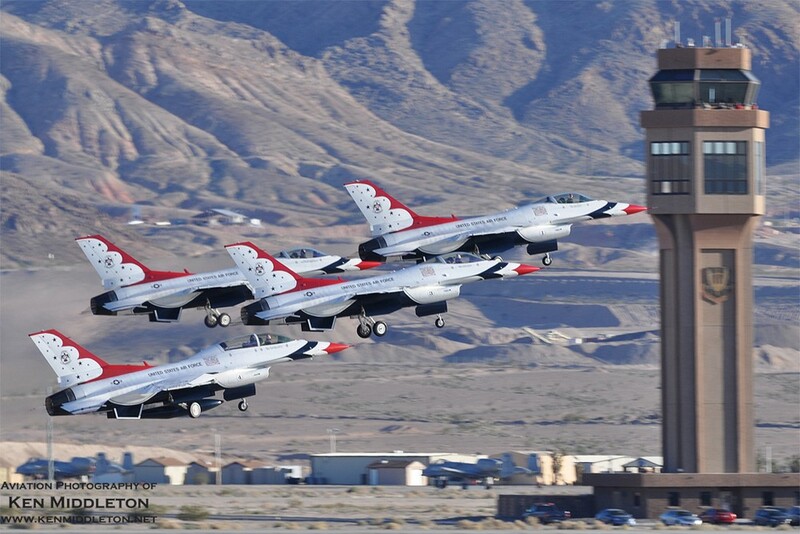 Plans for Thunder over the Boardwalk are already underway for next year with the Thunderbirds once again scheduled as the headliner of the show to take place on Wednesday August 21st, 2019. I would like to thank the following people who made all of the behind the scenes access to the performers and aircraft possible. 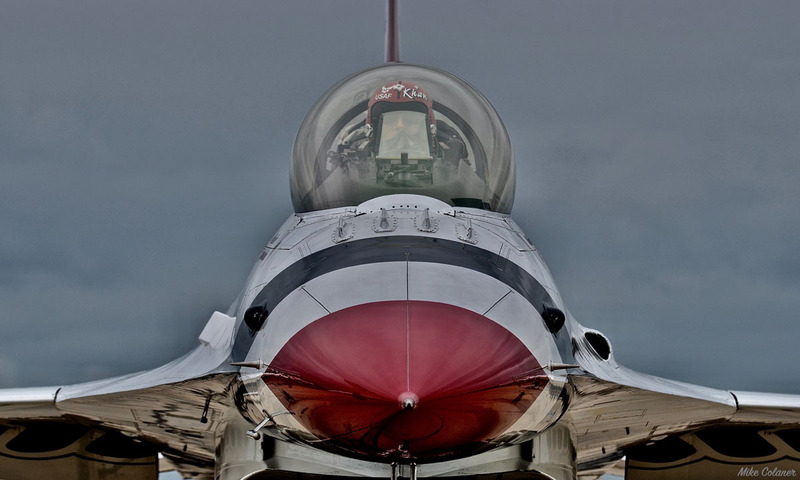 Chief Master Sergeant Raynaldo Morales, Command Chief of the 177th FW for access to the Thunderbirds and 177th ramp. Senior Master Sergeant Andrew Moseley, Senior Airman Cristina Allen and Captain Baton of the 177th FW Public Affairs Office who arranged for interviews and ramp access as the aircraft were marshaling. Ms. Karen Martin Atlantic City Casino Reinvestment Development Authority manager of media relations. 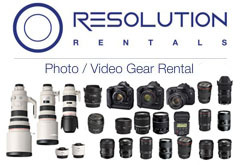 Ms Martin hosted the media to a show center chalet and helped with all of our logistical needs. Mr. Rick Breitenfeldt FAA Communications Director of the William J. Hughes Technical Center for granting me access to the show hot ramp and the performers for a behind the scenes look at the air show.